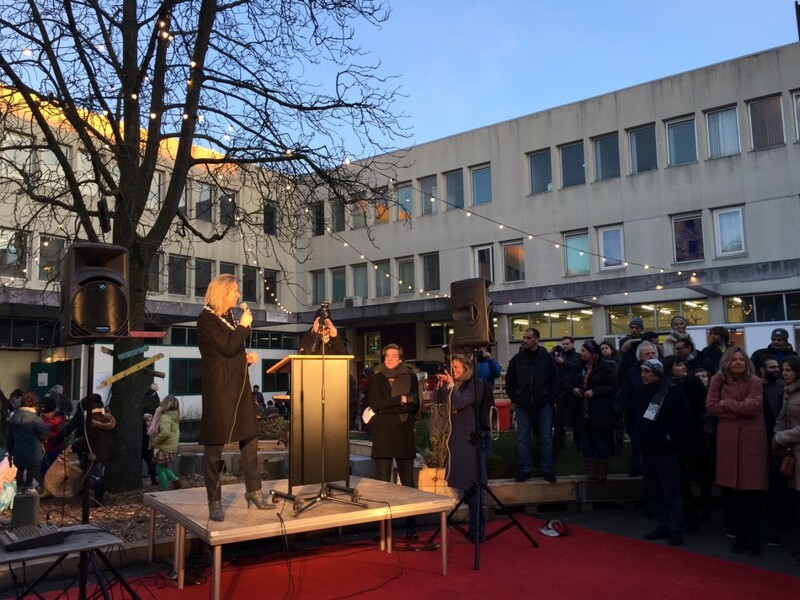 Karin Hildur [Kajsa] Ollongren – Opening: Lola lik, dat naast het asielzoekerscentrum (azc) in de voormalige Bijlmerbajes huist. 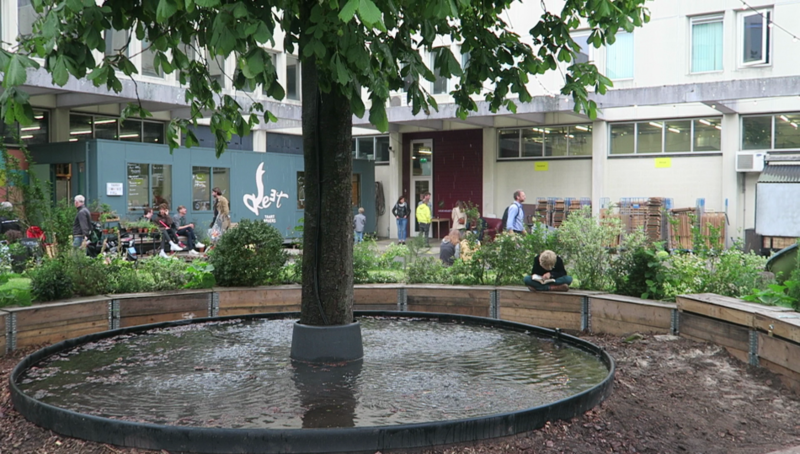 This fountain encircles the chestnut tree that has been growing in the former “Bijlmerbajes” since 1978. This building, which previously serves as temporary accommodation for refugees and recognised asylum seekers. In a changed setting like this, the place where people can meet each other. Drops of water trickle down from the tree’s crown into the source below. The droplets call tears to mind… tears to grief, but also of happiness. 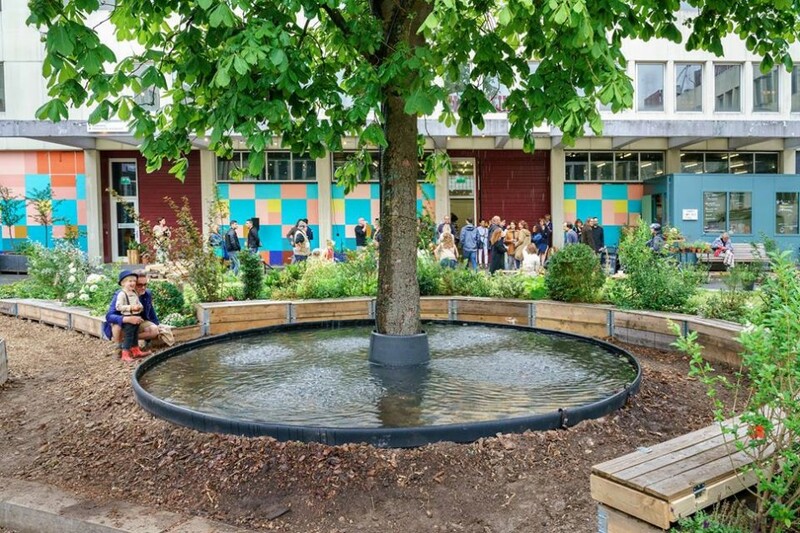 April 16, 17 | Filed under Installations & projects.